An air conditioning system that is blowing hot air will more than likely need their AC recharged. This can be achieved using an AC recharge kit or professionally using a top of the range tool but of course, the latter will not be a cheap option. The best DIY AC recharge kit is the Interdynamic A/C Pro Auto Recharge Bundle, which comes with the recharge gas and oil, stop leak kit and a cleaner. For those looking for a professional unit, the Robinair 34288 CoolTech is the to go for. Most garages will have a professional AC recharge unit but in order to it, you could be looking at around 100$ and over. Choosing the DIY approach is more cost effective but your car will need to use R1234 refrigerant found in cars post 1994. If the vehicle you want to recharge the air conditioning to is pre 1994, the DIY approach will not be compatible. This is because the older cars use a R12 refrigerant, which is no longer manufactured. Therefore, you would need to convert the air conditioning system to work from a R134 refrigerant. Many people assume that recharging your air conditioning system is a major task but this is simply untrue. Most DIY kits come with all the adapters and detailed instructions that make it as simple as plugging it into your car and refilling the system. A DIY AC recharge will not be for everyone but its certainly something that you can do to save a bit of money. Below is a list of the best AC recharge kits that will ensure cold air is comes out the vents and are easy to use. If you have been doing your research prior to reaching this article, you would have more than likely heard of A/C Pro. It is one of the most popular AC recharge kits available and comes are a bundle in order to provide a full service to your air conditioning system. Included in the bundle is the ultra synthetic recharge gas and lubricant, the super seal stop leak kit and a vent/duct cleaner to remove any bad smells and bacteria. A/C Pro claim that their solution to recharging your AC has been proven in more than 2 million vehicles. They also note that the bundle is safe and easy to use with the added benefit of sealing metal and rubber leaks. 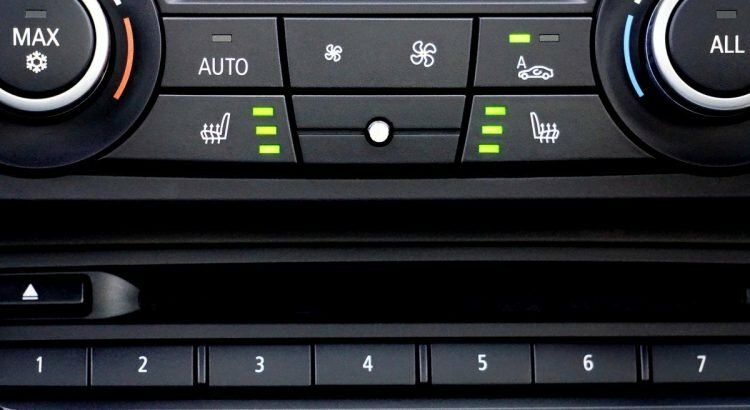 The A/C Pro Auto Recharge Bundle is by far the best AC recharge kit you can buy and you have peace of mind that its safe and been tested with positive results. For those with a fleet of cars or run a garage, you may want to choose the better option of a professional AC recharge unit. Of course, it is a more expensive route to take but in the long run it will pay for itself and be easier to use. The CoolTech uses a simple yet intuitive user interface to recover, recycle, evacuate and recharge R124A accurately. Unlike many of the alternatives, it offers much better value for money and is the reason why its so popular. Other standout features of this AC recharge unit include an automatic oil drain, air purge and refrigerant refill, multilingual display and a complete refrigerant management system. Overall, it is the best R134A recharge unit you can buy and offers excellent value for money. If you run a small garage and looking to invest, the Robinair 34288 CoolTech is accurate and easy to use and a great addition to your garage. The RG3 model by Robinair is a portable refrigerant recovery machine ideal for automotive use. Many people use it for residential use but it really excels when used on vehicles that use R-134A refrigerant. In terms of the performance, it is able to recover 2 LBS in approximately half hour, which for a small portable machine is impressive. It is easy to carry around with an ergonomic handle and it weighs just 18 LBS. Overall, if you are looking for a cheaper professional AC recharge machine that is also portable, there is only one option. The Robinair RG3 provides excellent automotive AC servicing with the added benefit of working with a variety of other applications. DuPoint R-1234A is suitable for the majority of vehicles from 1994+ and the refrigerant meets AHRI-700 and SAE J2776 Purity Standards. It is a pure refrigerant with zero additives, which means there is no glue or similar, which can make the AC warmer. In order to use this refrigerant in your car, you will need a R124A hose (if you don’t already have one) with a small gauge. They are fairly cheap to buy and once you have one, you are good to go for many years to come. Overall, it is the most cost effective method to recharge your AC yourself and with no additives, it will provide the coolest of air too. Another “all in one” solution to recharging your air conditioning system is the Artic Freeze Ultra Synthetic automotive refrigerant. It is a tool free kit that simply replaces the lost R134A refrigerant and oil. As well as recharging your cars AC system, it also contains a system-safe leak sealer additive and eliminates moisture buildup and acid with an impressive formula. Included is a reusable trigger dispenser, gauge and temperature dial, which all make it easier to accurately recharge your cars AC. Overall, the Artic Freeze Ultra Synthetic formula is the cheapest AC recharge kit and will increase your savings over an AC recharge service at your local garage. Every two years or so, your air conditioning system will require a recharge in order to blow cold air. We have already discussed the air conditioning recharge process is another article, so we won’t go in detail but choosing to recharge it yourself will certainly safe you money. The recommendations above include DIY AC recharge kits and professional units that are found in most garages. Once you have been able to recharge your air conditioning once, you will never go back to a garage and pay the premium. However, below are some factors that you need to consider beforehand. Vehicles that were made before 1994 will use the R12 refrigerant in their AC system whereas post 1994 cars use R134A. In terms of the chemical differences, the R12 will boil at -22 degrees as opposed to R134A that boils at -16 degrees. Another difference is the lubrication uses, where R12 uses a mineral oil and R134A uses a PAG oil. R134A is the standard refrigerant for the majority of vehicles on the road and all the AC recharge kits will be using R134A. Therefore, if you own an old car (made before 1994), you will not be able to use a AC recharge kit as listed in this article. You would need to have your system converted, which may be an expensive modification. Assemble the AC Recharge Kit – Put together the rubber hose, pressure gauge and refrigerant can. Find the High Pressure Port – Consult the owners manual as this is where the recharging happens. Clean the Low Pressure Port – Optional but debris does form near this port but is a worthwhile task. Test AC System Pressure – Attach the hose to low pressure port and start the car in order to take reading. Attach the Recharge Refrigerant – Connect the hose to the can and ensure its fitted correctly. Add The Freon – Turn the car on with the AC turned up fully and begin adding the Freon whilst watching the gauge. It is as simple as that and you can have cold air coming through your vents in as little as 30 minutes. Some DIY recharge kits may require a different setup/installation, so be sure to read the instructions beforehand. If you already own a R134A hose, you can further save extra money by only buying the Freon cans, which you can then attach to the hose. The majority of DIY kits come with a cheap hose and gauge, which will do the job just fine but won’t last as long as others. Buying a high quality R134A hose and using high quality Freon cans such as the DuPont is very popular and a cheap method of recharging your AC. Recharging your cars air conditioning system can cost more than 100$ at some garages, which is more than enough to put some people off recharging. For half of the cost, you can purchase a DIY AC recharge kit such as the recommendations in this article and have cold air coming through your vents. We have also included professional AC units for shops/garages and they will be able to provide a more accurate service as well as other functions.